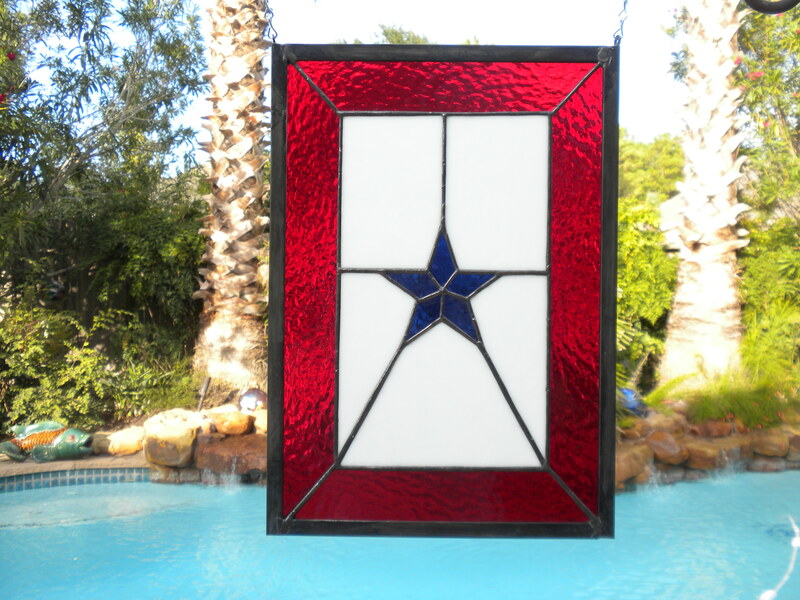 Show your support for family members in the military with these custom-made stained glass Blue Star Flags. Shows how many family members you have in the military. Now available in one, two or three star designs – This is a two star. Can be made to any size. Call (713) 899-0933 for more information!! 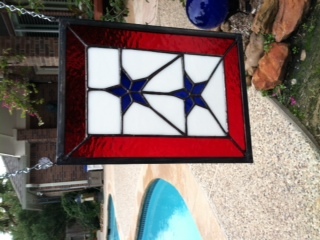 Show your support for family members in the military with these custom-made stained glass Blue Star Flags. Now available in one, two or three star designs – $68 for one star. Measures approximately 11″ x 15-1/2″ but can be made to any size. Call (713) 899-0933 for more information! !